NEW YORK (AP) â€” Rising drug and alcohol overdoses, suicides, and disease from chronic alcoholism â€” labeled "deaths of despair" by one expert â€” are cutting the lives of white Americans short by nearly a half a year on average. Increases in these types of deaths among whites means that life expectancy for whites is not increasing as fast as it is for other groups, according to a government report that offers an unusual look at how different threats are affecting U.S. lifespans. "Things are moving in the wrong direction," said Anne Case, a Princeton University researcher, of what she calls "deaths of despair." Drawing from death certificate data, the new report from the Centers for Disease Control and Prevention focuses on what happened to white life expectancy between 2000 and 2014. The work was a reaction to recent research that suggested drug overdoses and suicides have caused alarming increases in death rates for middle-aged white Americans. The new report, which did not perform the same analysis for blacks and Hispanics, was posted online Friday. But then drugs and alcohol subtracted about 4 months from life expectancy, according to Kenneth Kochanek, a CDC statistician who was the report's lead author. No other cause of death had a bigger negative impact, he said. Increasing suicides had the second largest negative impact, subtracting roughly 6 weeks from white life expectancy. The growing impact of Alzheimer's disease was third, reducing longevity by about 3 weeks. Suicide in men has been desÂ­cribed as a â€œsilent epidemic.â€� It has a disturbingly high incidence and is a major contributor to menâ€™s mortality. It has a disturbingly high incidence and is a major contributor to menâ€™s mortality. In British Columbia, suicide is one of the top three causes of mortality among men aged 15 and 44. Among men of all ages in Canada, suicide ranked as the seventh leading cause of death in 2007. The silence surrounding suicide among men is also striking and warrants comment. Finally, given menâ€™s general reluctance to seek help for suicide-related concerns, and the stigma associated with mental health problems in general, it is no surprise that suicide among men is largely invisible. Men have a shockingly high rate of death by suicide compared with woÂ­men. Across all countries reporting these data (except China and India) males show a suicide rate that is 3.0 to 7.5 times that of women. â€¢ The male suicide rate increases fairly steadily with age, peaking in the late 40s, then falling significantly and rising again in the 80s. â€¢ Male rates are greater than female rates at all ages and substantially greater across most of the lifespan. The overall suicide rate rose by 24 percent from 1999 to 2014, according to the National Center for Health Statistics, which released the study on Friday. The increases were so widespread that they lifted the nationâ€™s suicide rate to 13 per 100,000 people, the highest since 1986. The rate rose by 2 percent a year starting in 2006, double the annual rise in the earlier period of the study. In all, 42,773 people died from suicide in 2014, compared with 29,199 in 1999. All according to plan ? People who predict death for a living have some bad news. This new data turns out to be a disappointment. Over the past several years, the health of Americans has deterioratedâ€”particularly that of middle-aged non-Hispanic whites. Among the culprits are drug overdoses, suicide, alcohol poisoning, and liver disease, according to a Princeton University study issued in December. Recently a middle age man went postal and committed serial murder and then suicide by cop .... he was 49, broke and his girlfriend left him .. The white gunman who opened fire on a group of black partygoers at a San Diego apartment complex Sunday was â€œdespondentâ€� over his love life â€“ not driven by racial hatred, police said Monday. â€œThe victims were targeted for no other reason than their mere presence in the vicinity of the suspect,â€� San Diego Police Chief Shelley Zimmerman said at a midday press conference. Investigators believe the shooting was a â€œspontaneous act of violenceâ€� and that Selis didnâ€™t know his victims, she said. Police said Selis had one registered handgun â€“ a .45 SIG Sauer handgun. His filing listed debts of $108,028 and assets of only $14,100. It also referred to a woman living with him at the time as his â€œestranged wifeâ€� and said he worked as a car mechanic at Mossy Ford in San Diego for the prior five years, making $6,224 a month. Witnesses described Selis as very â€œrelaxedâ€� in the minutes leading up to his deadly spree. Selisâ€™ bankruptcy filing listed an address in the massive complex that spans several blocks. If you're an adult, and you want to end your life, fine, that's your right. The plutocrats, oligarchs and robber barons who own and control our government -- and who are obsessed with eugenics and depopulation -- will, of course, strongly object, but that's only because they don't want the masses of peasants and indentured servants over whom they rule thinking that their lives are their own. But don't use the fact that you're emotionally troubled as an excuse to physically harm others! That is not your right. Nor is it your right to leave a helpless baby crying in the next room. Either sign over custody to a family member or put the poor thing up for adoption before doing whatever it is you've decided to do. It is one of the most enigmatic stories of all time, with an opening sentence thatâ€™s unparalleled in all of literature. Gregor Samsa, a traveling salesman living in Prague, wakes one morning from troubled dreams to find himself transformed intoâ€”what, exactly, isnâ€™t clear, just as any clear interpretation of The Metamorphosis has eluded readers for decades. As the 100th anniversary of its publication approaches, we take a look at a few things we do know about Franz Kafkaâ€™s mysterious novella. 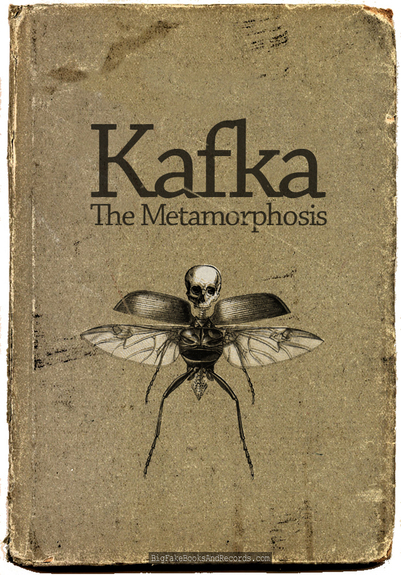 Kafka forbid his publisher from portraying "the insect" on the cover. WARNING: This article contains extremely graphic material. Viewer discretion is strongly advised. 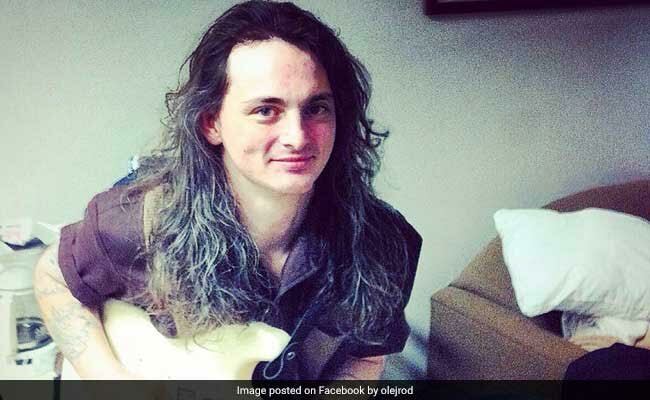 A Memphis musician committed suicide on Facebook Live. His ex-girlfriend says it was an act of â€œrevenge.â€� The video was streamed on Jared McLemoreâ€™s Facebook page at 12:30 a.m. on May 13. He was sitting in the parking lot of Murphyâ€™s bar in Tennessee, where is ex works. McLemore sits cross legged in the video at the beginning. He leaves for a moment and returns with a red can. McLemore pours kerosene over himself. A man attempts to stop McLemore from lighting himself on fire but fails. Flames engulf the screen as the hollering can be heard from those watching. Jared McLemore was 33 years old. Ok so its not the environment ,,, OK ? Fashion designer Kate Spade?s death this week has reminded Americans of the enormous toll of suicide, a growing problem that claims nearly 45,000 lives a year. Suicide rates in the U.S. have risen nearly 30% since 1999, according to a report released Thursday from the Centers for Disease Control and Prevention. Suicides increased in both men and women, in all ethnic groups and in both urban and rural areas. Suicide and ?self-harm,? a category that includes attempted suicides, cost the nation $70 billion a year in medical care and lost work time, the CDC says. Nearly half of people who died by suicide had a known mental health condition, according to the CDC. Family members have given different accounts of Spade?s struggle. In media interviews, her sister, Reta Saffo, has said that she believes the designer suffered from bipolar disorder, also known as manic depression. The designer?s husband said in a statement that she ?suffered from depression and anxiety for many years? and ?was actively seeking help? before she died on Tuesday. Suicide rates are climbing in nearly every state in the country, according to the Centers for Disease Control and Prevention, which announced the ?troubling? trend Thursday. New York saw a roughly 30 percent jump since 1999, mirroring the nationwide rate for the same period, according to the agency, which examined state-level trends in suicide rates from that year through 2016. In 2016 nearly 45,000 Americans aged 10 or older died by suicide, up from 41,149 suicides in 2013 ? making it the 10th leading cause of death in the nation, according to the agency. Twenty-five states had suicide rates that increased more than 30 percent, and the highest increase was seen in North Dakota at 57.6 percent. Delaware had the lowest increase at 5.9 percent. Nevada is the only state that didn?t show an increase, but its rate was consistently high throughout the study period, the researchers noted. Researchers found that more than half of people who died by suicide didn?t have a known diagnosed mental health condition, despite previous studies showing 90% of individuals who died by suicide did. The most common method was using a firearm, followed by suffocation, the agency said. The chef, married twice, leaves behind an 11-year-old daughter, Ariane. After dropping out of Vassar College two years into his degree, Bourdain worked in restaurants in Cape Cod, Massachusetts. The young chef would go on to graduate from the Culinary Institute of America. Bourdain shot to fame after publishing his best-selling memoir Kitchen Confidential and became one of the world?s most famous chefs after starring in the television show?s Cook?s Tour and No Reservations. The book detailed his life as a young chef in the gritty underbelly of the culinary world while battling drug addiction. ?All I can tell you is this: I got off of heroin in the 1980s? There are a lot of guys that didn?t get that far,? he told Eater in 2016. 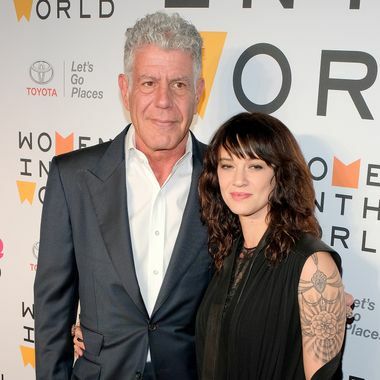 Bourdain was dating Italian actress Asia Argento, who accused movie producer Harvey Weinstein of sexual harassment. Bourdain addressed the controversy by accusing director Quentin Tarantino of giving away his soul to work with Weinstein, blasting him for ?a life of complicity and shame and compromise.? UPDATE: Alex Jones told a very different story today on the show (June 8, 2018 Hr 4 first 15 mins approx). Alex goes over notes he was given by a top pentagon source. Bourdain was starting to branch out into exposing child trafficking and other truths. He didn't like Obama. Elon Musk had convinced him what was really going on and now wanted to meet with Trump. He was talking about leaving CNN and do a new program. He had just remarried and very happy. Has a young child. Then he's found dead! DID THE GLOBALISTS MURDER BOURDAIN BECAUSE HE NOW KNEW WHAT THE GLOBALISTS WERE DOING TO THE WORLD? Something fishy about this. This past week has seen the tragic suicides of two celebrities who seemingly had it all. Kate Spade, the iconic fashion designer, took her own life by hanging in her Park Avenue home. Later, chef and travel host Anthony Bourdain took his own life while shooting on location in France. I assure you the mainstream media will not report the relationship between antidepressant drugs and suicide although the correlation was first noted in 1990 and has been generally accepted since 2002. In a 2016 study published in the British Medical Journal, researchers at the Nordic Cochrane Center in Copenhagen revealed that pharmaceutical companies were not offering the full impact of these medications in reports. Their research concluded that suicidal thoughts and aggressive behavior doubled in children and adolescents who used medications such as selective serotonin reuptake inhibitors (SSRI) and serotonin and norepinephrine reuptake inhibitors (SNRI). Even more concerning from their findings was that they determined that antidepressants do not offer their prescribed results in children. Nordic Cochrane Centre Professor Peter G?tzsche said: ?Antidepressants don?t work in children, that is pretty clear, in the randomised trials children say that they don?t work for them, but they increase their risk of suicide.? In response to this study, a spokesman for Eli Lilly told The Telegraph, ?No regulatory authority has ever determined that Lilly withheld or improperly disclosed any data related to these medications.? Experts said the reviews findings were startling and deeply worrying, stating that people in the UK are consuming more than four times as many antidepressants that they did two decades ago. Now what about the United States? America is no stranger to the antidepressants either as our nation increased use of antidepressants by 65% in 15 years. I?m sure you know a number of people who run on antidepressants like M&Ms. But this is no laughing matter, rather an alarming moment for our nation as a growing number of us are beset by depression. If we examine the school shootings in America, in almost every case these deranged children were on antidepressant medications but inevitably it is swept away by the drug companies before we can recognize these perils. ?A spike in suicide rates in the United States has cast fresh light on the need for more effective treatments for major depression, with researchers saying it is a tricky development area that has largely been abandoned by big pharmaceutical companies.? As I have maintained for years, we must consider the board of directors of major media companies and then check out the interlocking corporate directorships. (CNN)The percentage of younger children and teens hospitalized for suicidal thoughts or actions in the United States doubled over nearly a decade, according to new research that will be presented Sunday at the 2017 Pediatric Academic Societies Meeting. A steady increase in admissions due to suicidality and serious self-harm occurred at 32 children's hospitals across the nation from 2008 through 2015, the researchers found. The children studied were between the ages of 5 and 17, and although all age groups showed increases, the largest uptick was seen among teen girls. "We noticed over the last two, three years that an increasing number of our hospital beds are not being used for kids with pneumonia or diabetes; they were being used for kids awaiting placement because they were suicidal," said Dr. Gregory Plemmons, presenter of the study and an associate professor of pediatrics at Monroe Carell Jr. Children's Hospital at Vanderbilt. Even though the percentage of suicidal kids may be "alarming," the study doesn't prove that rates of suicidality are on the rise, Palmiter said. "To do that, you need more research." Tishler also said that with "an estimated 12 to 15 million children on psychotropic medications," any time doses begin or get increased or decreased, "it may cause a change in emotional state which may reduce impulse control." This could contribute to suicidal urges. Last time I looked at the "Official" stats pyschotropic drugs are up 30% from 10 years ago. Too many people are being prescribed these drugs--they are handing them out like candy at the VA. I'm convinced there is at least a spiritual component to this. Recently saw 3 separate instances within a week from 3 separate locations. Prior to that time, there hadn't been a whiff of that sort of thing for years. I have no doubt of that either. Thursday, October 4, is bring your Bible to school day. After reading the information contained in this article, you will probably find yourself questioning if America is going to be able to survive for much longer, because our young people are a complete and total mess. On top of all that, we are seeing unprecedented levels of suicide, drug overdoses and liver disease (due to heavy drinking) among our young people. Like other empires throughout world history, will we be undone by our own excesses? According to the CDC, drug overdose rates among our young people have been absolutely soaring? And the CDC also found that liver disease (due to heavy drinking) is rapidly rising among young adults? But the most tragic fact from that entire study is that suicide is now the second leading cause of death for Americans from age 15 to age 24? Suicide is now the second-leading cause of death among people ages 15 to 24, increasing by 7% in this group each year between 2014 and 2016. It?s also the third-leading cause of death among people ages 25 to 44, killing almost 17 of every 100,000 people in this population in 2016. Yes, our country is a huge mess today, but what is it going to look like when they become the ?leaders of tomorrow?? So will Snapchat and Instagram be sued ? really . Isn't all part of the depop progrom ? 'JUST KILL YOURSELF' Schoolgirl, 13, found dead in her bedroom by her mum after ?sick taunts by Snapchat bullies? A SCHOOLGIRL was found dead in her bedroom by her mum after cruel bullies sent her sick taunts on Snapchat, it has been claimed. Faith Hindle died at home in Cadishead, Greater Manchester, on Saturday, leaving her family "devastated". Today, a relative told the Daily Mail that they are asking police to investigate as bullies had taunted the young girl over Snapchat and Instagram. Her grandmother Theresa Riley said: "We have asked police to investigate because we know she had been subjected to online abuse on Instagram and Snapchat. "The trouble with Snapchat is that messages disappear but Faith had taken pictures of some of the abuse. I know in the past she messaged people saying things like, 'I just don't feel like being here'. "And people messaged back: 'Just do it! Just kill yourself!' It is horrible."